As a Curriculum Mapping Institute speaker at the recent School Improvement Innovation Summit 2013, Debbie Sullivan’s definition of the curriculum mapping process aligns with that of her colleague and CMI Executive Director, Heidi Hayes Jacobs, Ed,D. 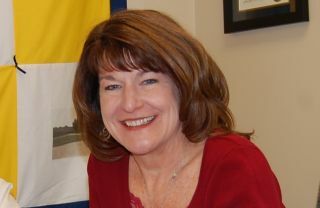 Sullivan knows a little about this topic, having spent 35 years in education; starting as a first grade teacher and continuing her career donning nearly every hat possible as both elementary and middle school teacher, administrator, spearheading staff development, curriculum, assistant superintendent and rounding out her time in the district by serving as the superintendent until her retirement this late July. The past 28 years of her career was spent in Decatur Township; an urban school district in Marion County, Ind., with 300 teachers, whose 6,300 students (65% free and reduced lunch, 10%minority) learn at two high schools (one, a small New Tech school), two middle schools, five elementary schools and one early childhood center. “We started our curriculum mapping process with Dr. Heidi Hayes Jacobs 10 to 12 years ago as part of our Journey Toward Excellence, looking at the curriculum and creating calendar-based study units to build a collaborative inquiry culture where we are all working together,” she says. “We use a curriculum software, Rubicon Atlas. As we’re looking at the Common Core transitioning and carefully considering how they’re upping the ante for what our students needs to do, the curriculum mapping process can really support that work. If you’re using the software in a school or district, it makes it more accessible for communication—more accessible to revise and upgrade. Selling change is not always easy, particularly when political decisions and uncertainty throw a hiccup into the process. “Based out of Indianapolis, we’re supposed to be implementing Common Core 100% in K/1 this year and next year for 2nd. Our district has been spending the last year creating our core maps using the Common Core to be ready for the transition…but Indiana (legislature and Superintendent of Public Instruction) has now paused for a year, putting the schools and district in a dilemma for all the work already done. Other schools prepare for PARCC and Smarter Balanced, only to be told they are no longer a PARCC state. Sullivan’s district employs a Curriculum Council of 50-60 teachers and administrators to learn the Common Core in depth and make decisions. Collaboration and strong leadership can equal success.